The Stoic Society of Athens, originally named the ‘Greek Philosophy Dinner Club’ was founded in the 1980-90’s, by the Agiorgiti sisters who began hosting informal, non-academic philosophical salons, during their student years in London and Paris. These private meetings with a small group of international friends, were meant to “explore philosophy in its profound, practical application to life’s challenges”, referring to works on Ancient Greek philosophy - mainly Socrates, Plato, Aristotle and Stoicism, as well as works by other intellectuals like Kazantzakis, Gurdjieff, Frankl, Sartre etc. 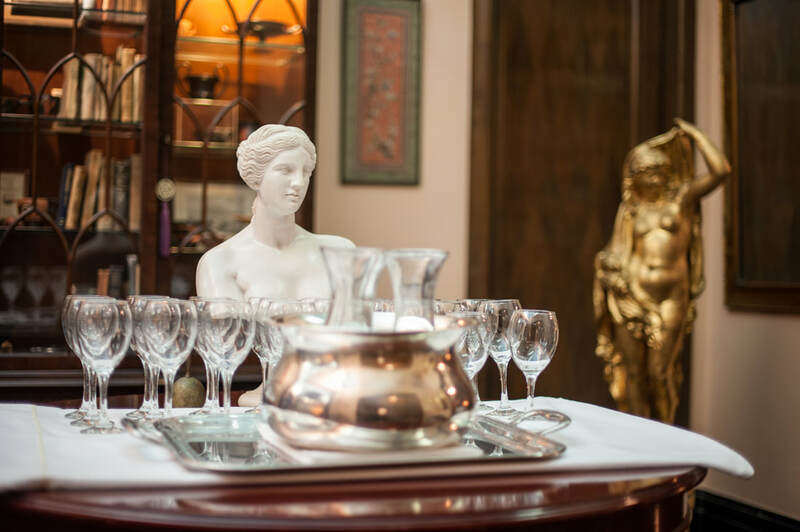 ​Since 2009 the society is established at the 1930’s historic Agiorgiti Residence, where it hosts regular private talks, small symposiums, workshops and events - often accompanied with music, selected wine or gourmet Ancient Greek cuisine - courtesy of the home. If you enjoy intellectually challenging yourself, discussing issues which concern you or have sincere inquiry about what makes a fulfilling life, then apply to join our international community.